Welcome to our International Blog Hop. You may just be starting the blog hop here at my blog - Louise Sharp, Australia - or may have come from the person previous to me in the list. If you get off track at any time, the full lineup below will help you move along from blog to blog so you see all the projects. 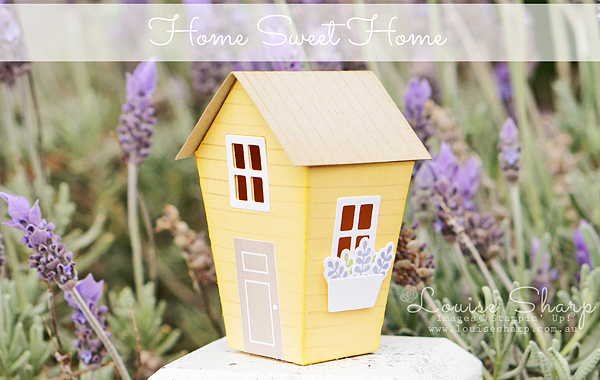 When I opened the upcoming Holiday Catalogue and arrived on page 40 and saw the Home Sweet Home Bundle, with stamp set and matching framelits, I just knew I had to make a little yellow house with lavender. Isn't it just the cutest little house?! My home. 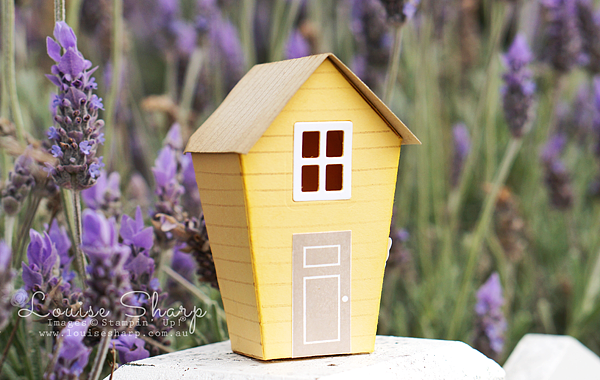 The little yellow house with lavender in front of the little yellow house with lavender! The Holiday Catalogue will launch on the 1st September, be sure to keep an eye out for the link on my blog or contact me to be sent a copy. Thanks for stopping by, there are so many amazing ideas and inspiration you don't want to miss. Remember that currently you are at my blog - LOUISE SHARP, so check the blog hop line up list to see who is next in the list. Wow! This is so cute Louise. My favourite photo is the one with your 2 houses together. Love it. This is really cute. I love how you created lavenders. Looks adorable. Oh my word this is so lovely (said all in one breath of awe)! 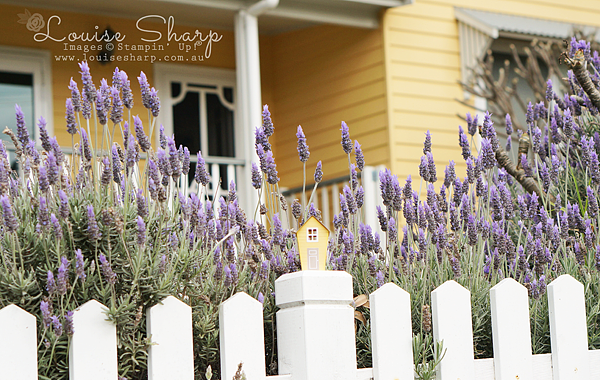 The little lavenders in the window box are adorable but mostly I love that it's a happy little replica of your own home. So sweet. Love it so very cute.